At the young age of 21, Coleridge-Taylor was already gaining a name for himself as a composer. With the help of fellow English composer, Edward Elgar, his piece “Ballade in A minor” was premiered at the Three Choirs Festival. This lead to notable music editor and critic claiming that Coleridge-Taylor was a “genius”. His success allowed him to make three tours of the United States, where he earned the name “Black Mahler” from musicians in New York who were impressed with his work. He was even received by President Theodore Roosevelt during his first tour. His interest in his paternal ancestry increased as he toured America and delved deeper into the African American culture. He began to integrate traditional African music into his compositions and was strongly supported by the African American community in the U.S. Despite his fame both in Europe and America, he didn’t manage to earn riches off his success. Composers at this time could not make immediate income off their work, but instead relied on royalties. This lead to a life of constant financial struggles for Coleridge-Taylor and his family before he died of pneumonia at age 37. He was survived by his wife and two children, both of which mirrored their father in their musical adeptness. 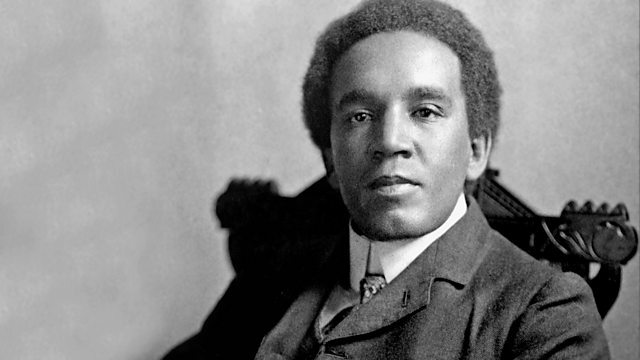 Today, Samuel Coleridge-Taylor is most well-known for his cantata Hiawatha’s Wedding Feast. Among a collection of African-inspired orchestral suites, folk songs, and African dances, he also composed a violin concerto for American violinist Maud Powell. While the piece was edited before the performance due to missing pages, it has been performed numerous times over the past century. In a relatively recent development, Coleridge-Taylor’s lost opera, Themla, was discovered in the British Library in 1995. It was unbound and contained several inconsistencies, but the full score and vocal score were complete. After some editing and debate over the intended title, the production was premiered in February of 2012, marking the 100th anniversary of the composer’s death. Read the other blogs in our Black History Month Series! Make sure to subscribe to our blog and follow us on social media where we'll continue to commemorate these notable black composers and musicians through the month of February!